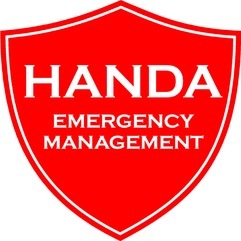 HANDA Training Solutions is an Australian Registered Training Organisation (RTO) based in Hobart, Tasmania. Our RTO number is 60134. Public courses conducted at our training centre on weekdays. Private courses conducted on-site; anywhere, anytime! High-risk licencing courses for industry, delivered through our Worksafe accredited training partners. We specialise in providing recognition services to students with life, work or volunteer experience in firefighting, fire safety or emergency response. Evacuation plans – For fire and emergency evacuation from premises. Emergency management planning – An ‘all hazards’ approach to Emergency Management applying the national NERAG guidelines. Confined space management – Managing confined space assessments, register compilation or entry management on-site. 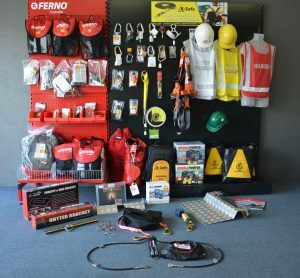 We sell a range of height safety and confined space entry equipment from our Moonah training centre. We hire confined space entry equipment, gas detectors and associated gear. We inspect and tag confined space and fall prevention equipment and calibrate gas detectors at our office or on-site. Find the course you want here. To book yourself into one of our public courses, download a Registration Form here. To book in a group from one company, download the Company Registration Form here. To book in for the Fire Equipment Servicing Course ONLY click here. If you have a group of students and want a private course delivered on-site, download the Company Registration Form and click here for the private course price list.